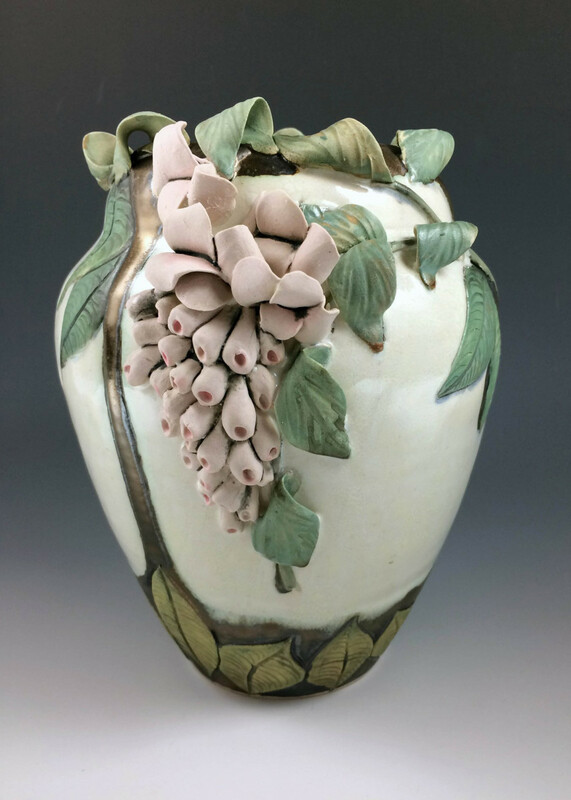 Wisteria is a one-of-a-kind vase with three-dimensional accents from the workshop of Mary Pratt. With a white body, golden accents, delicate folding leaves, and rosy-lavender blossoms, the piece measures 8” tall. 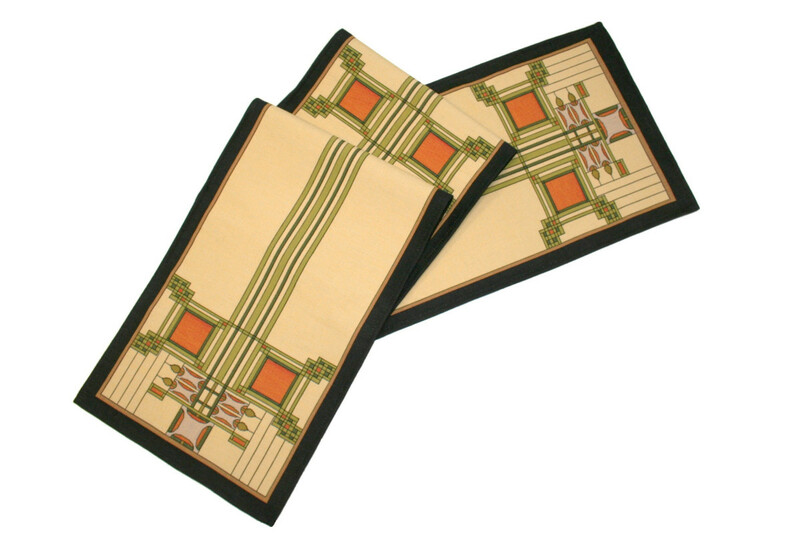 Sullivan Skylight is a new table runner design from a company known for table linens based on work by Louis Sullivan, Frank Lloyd Wright, C.R. Mackintosh, and others. 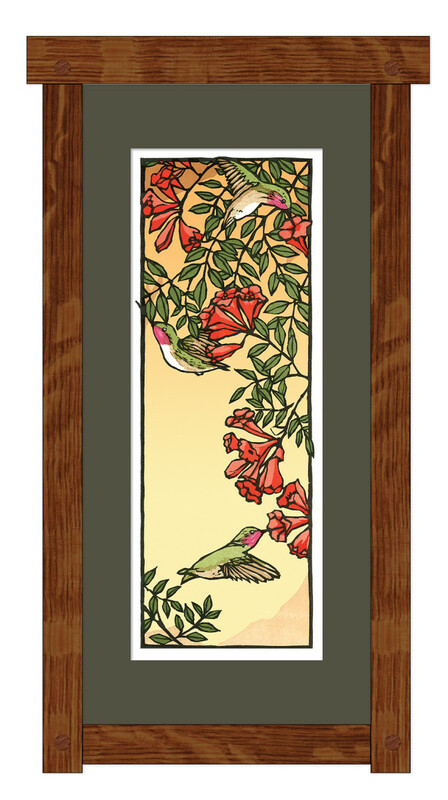 Limited to an edition of 96, an offering from Yoshiko Yamamoto is Hummingbirds I, a linoleum block print made from multiple hand-carved blocks. Available in two colorways, it&apos;s 9” x 20” matted. 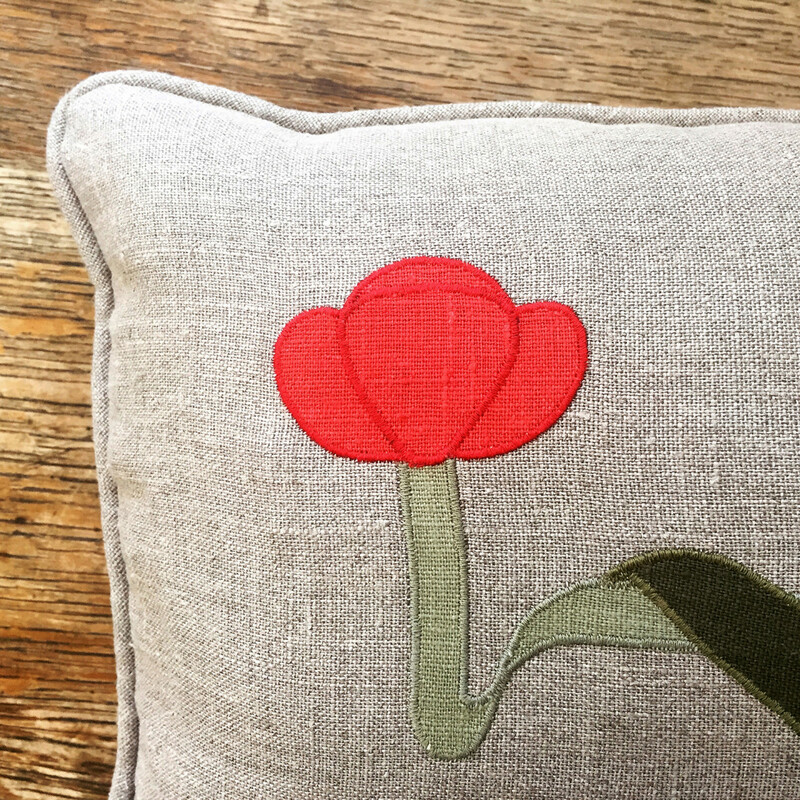 This artisanal shop custom designs and hand-embroiders and -stencils pillows, curtains. Roman and roller shades, and bed and table linens on all natural fabrics. Finished pillows and kits. 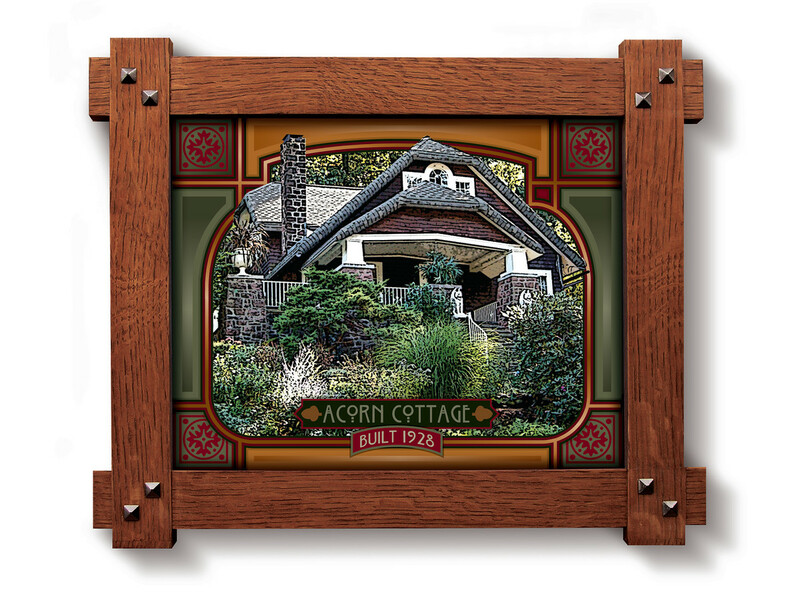 Just introduced, Lake View is a hand-signed, limited edition block print from the Roycroft Renaissance Master Artisan known for her hand-carved block prints. 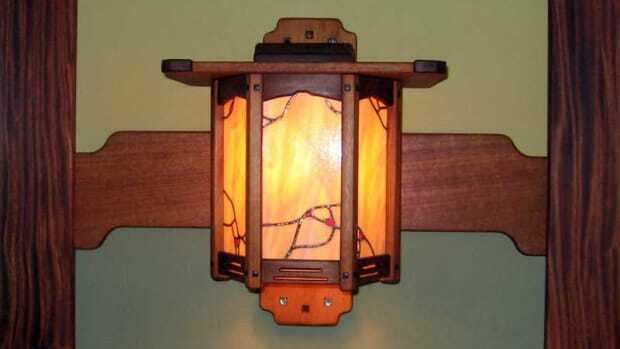 The image measures 16¼” wide x 12” high. It’s available matted. 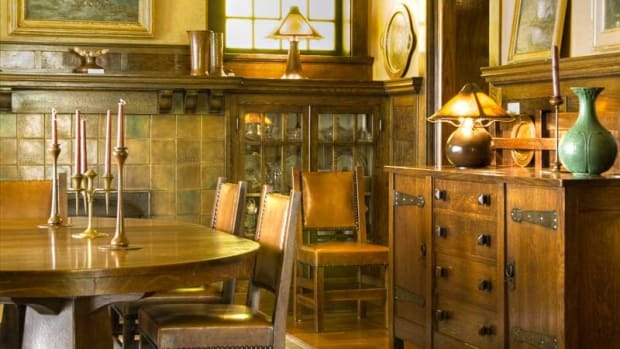 Family company makes mantel clocks in Arts & Crafts styles, including the Craftsman Horizon pendulum clock. 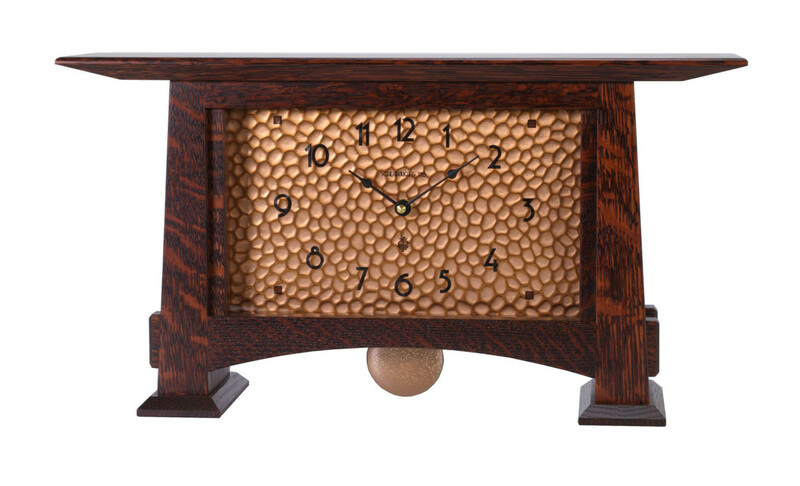 In quarter-sawn white oak with a hammered copper dial protected by glass, this clock measures 18” wide x 10” tall x 5” deep. 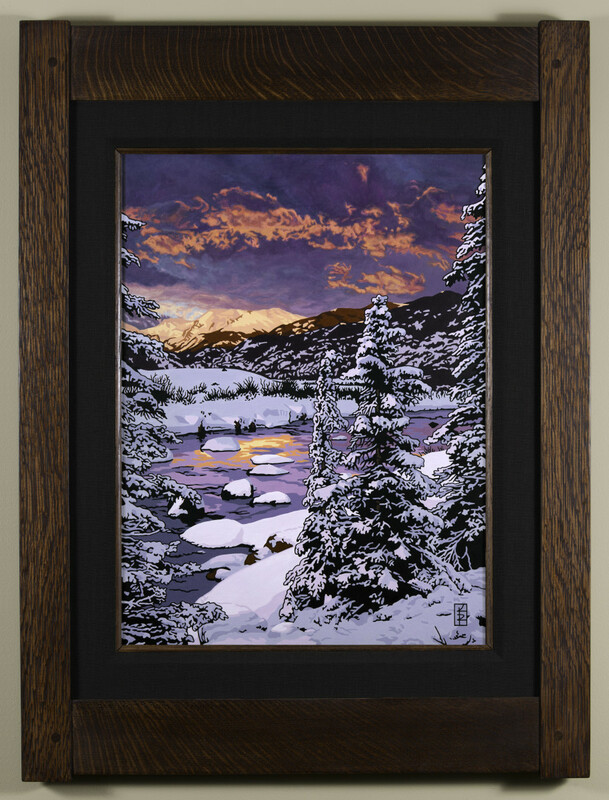 Blazing Winter Chill is an archival-quality giclée print from the Roycroft Renaissance artisan. 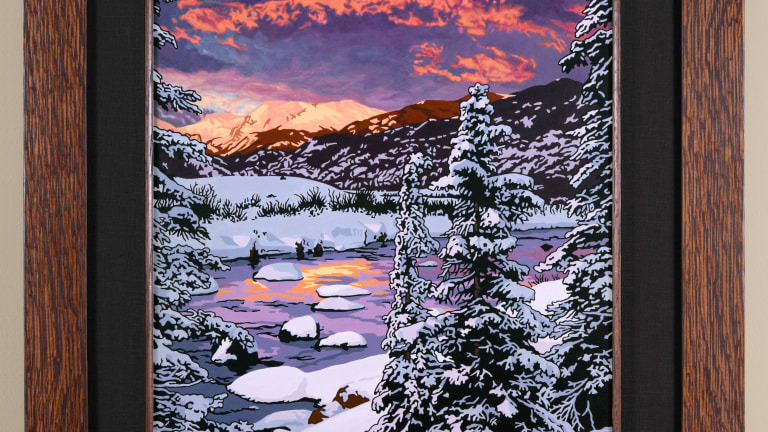 The first in a series of four seasonal landscapes, it is printed with colorfast UV-protected inks on premium acid-free canvas. 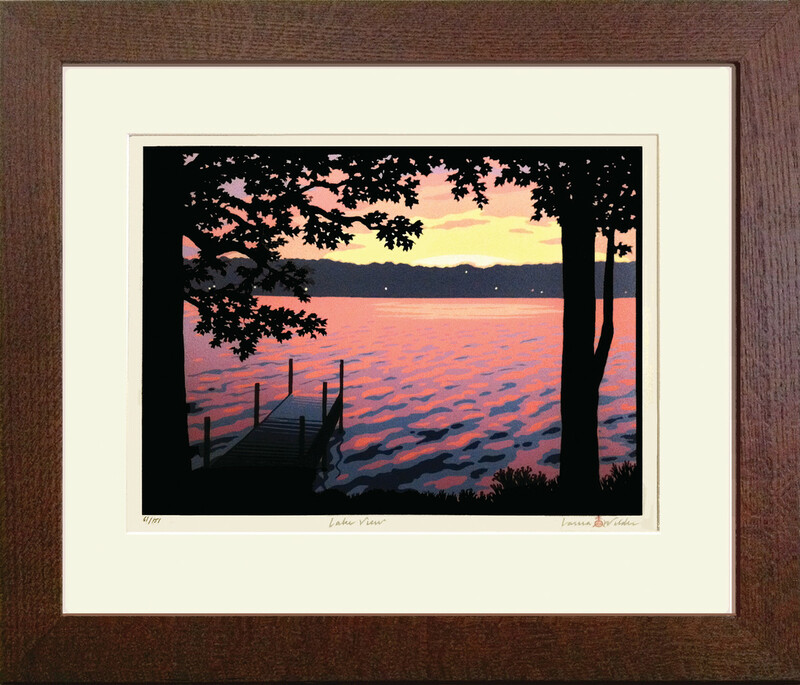 The print comes in four sizes, and in quarter-sawn oak frames. Crafted by master smith Antonio Ziranda, the Seasonal Squash bowl has been in the collection since eCobre’s inception in 1994. 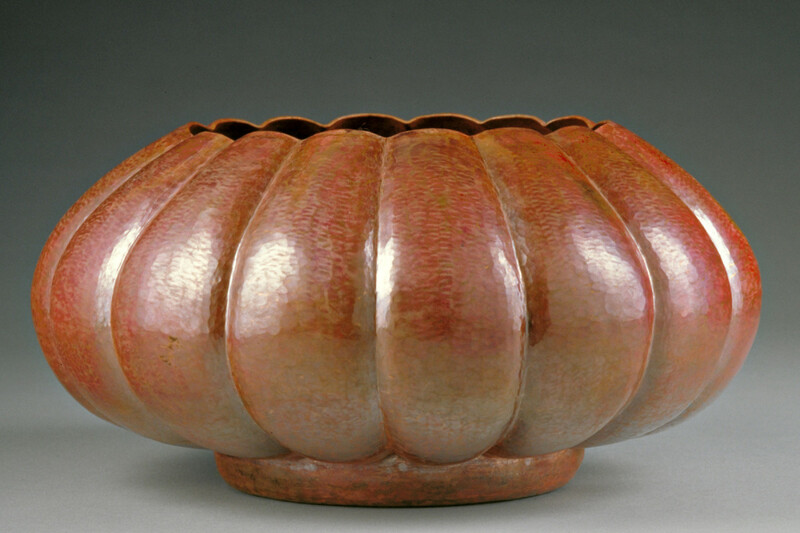 The bowl measures 12” wide x 6½” high. All copper pieces are handmade by fair-trade Mexican artisans using the traditional bonfire method. A team of talented artisans creates handmade, limited edition pottery. 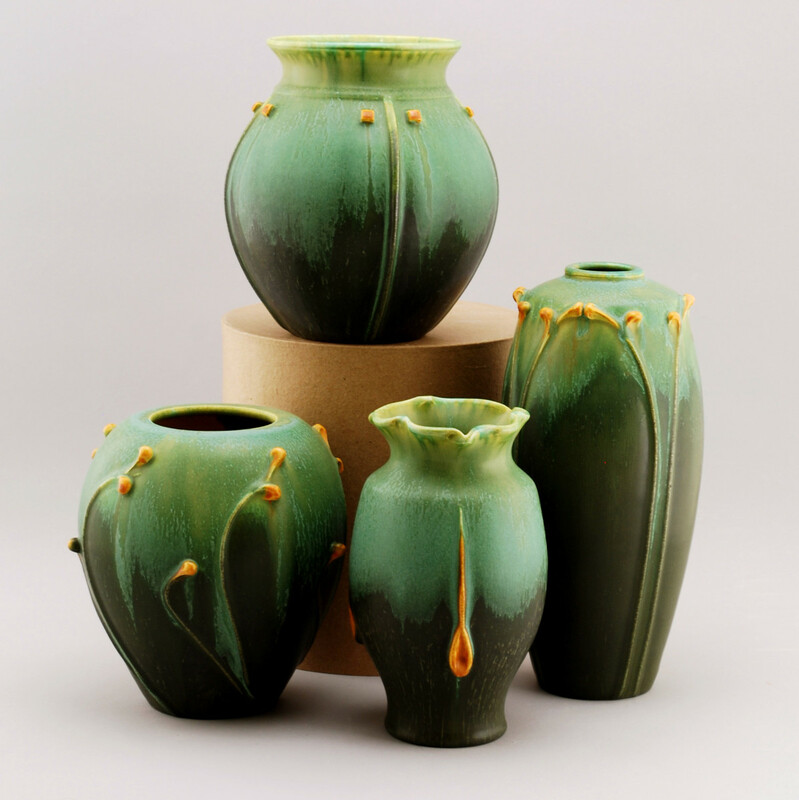 Five vases shown in the North Lights Green faience glaze include Prairie Globe, Nouveau Arch, Serenity, and Prairie Whisper. The tallest is 10”. Faience glazes are not water-tight. Based on the idea that some thoughts deserved to be framed, these clever quotes and mottos are printed on canvas and mounted in quarter-sawn oak. Sizes and sentiments vary. Custom work available. 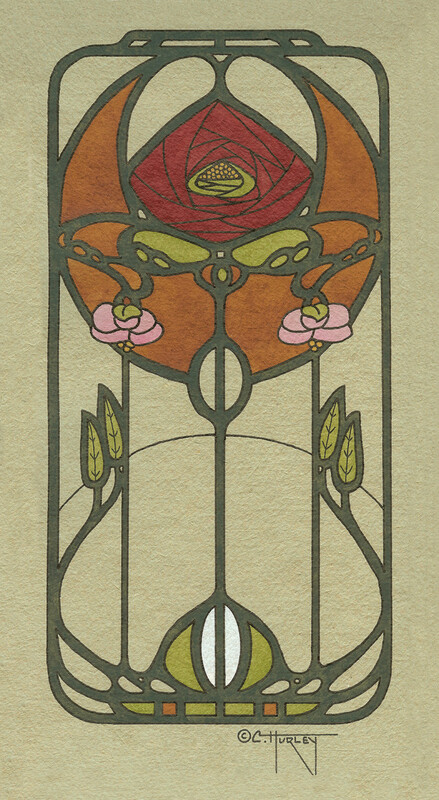 Part of a new series of archival fine art giclée prints, Nouveau Rose is an exploration of the language of Art Nouveau by the artist. It’s an idealized image of a rose set against a waning moon. The matted print will fit a standard 10” x 14” frame. Artist Jonathan White is known for quirky turns on Gruebyesque pottery and his unexpected architectural sculptures. 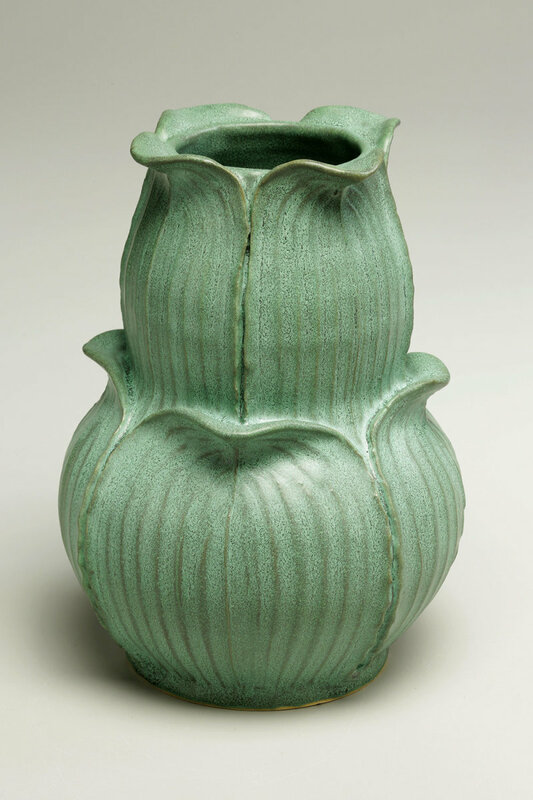 The hand-thrown and carved Earthenware Vessel measures 9½” high x 7” wide. Available at the Grovewood Gallery. 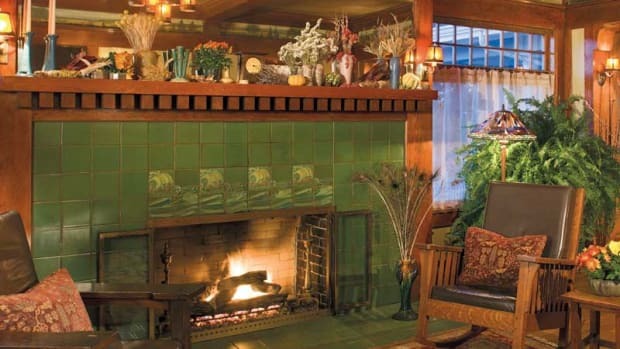 Bungalow-era rooms have been described as plain, but they are warm and fully decorated.